What’s up crafty friends? I love Unity stamps and every month I get their Kit of the Month, which is always such a joy. Sadly though I haven’t had as time as I would like to play with them but I finally had a chance to the other night. Woohoo, right? Using my Tim Holtz Stamp Platform and Versafine black ink I stamped my pumpkin onto some Canson XL watercolor paper. I find that the TH platform works perfectly with my Unity stamps, I get a perfect stamped image on watercolor paper every time on the first go. After my ink was dry I watercolored my image with Prima Watercolor Confections. Then using my Sizzix BIGkick and an oval stitched die I cut out my painted image. Now it’s time for the fun part, matching pattern paper. Sike, matching paper isn’t always too fun for me, it is actually one of my biggest struggles. Thank goodness for coordinating paper packs but I still have tons of open stock paper. I decided to dive into my open stock papers for this one and after about 30 minutes I succeeded at coordinating a nice variety of colors and patterns that actually matched my painted image. After I had my papers picked out, I cut them down and layered up the front of my card. Finishing it up by adding a “Happy Fall” sentiment banner and some flat back yellow pearls to the top corner. For the inside, I decided to go a little differently then the norm. 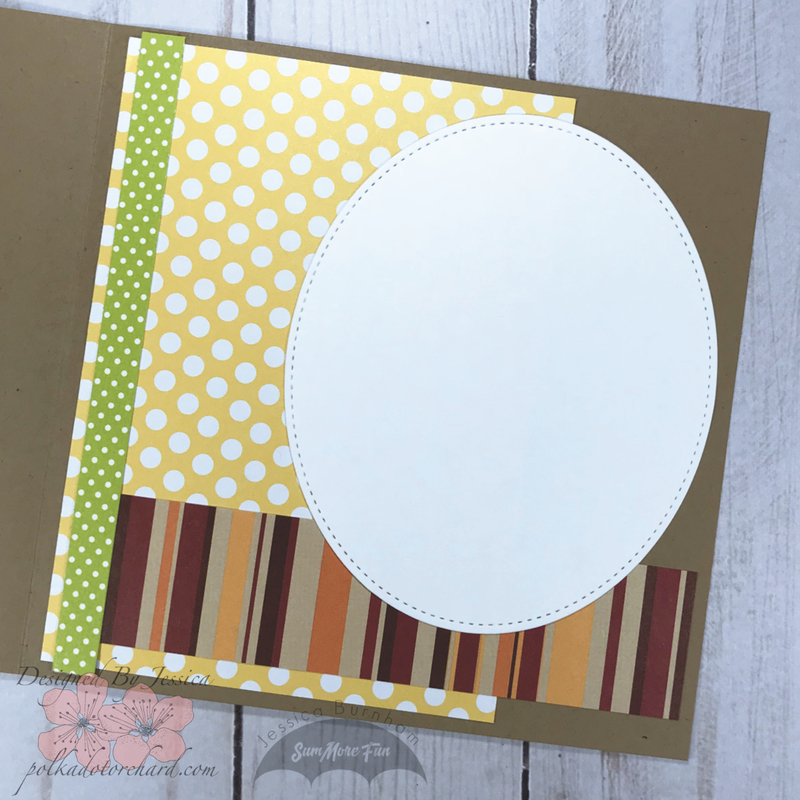 I layered my papers in a similar manner as I did on the front, making my personal message area the white oval. If you haven’t started on your fall creations I hope I have inspired you to do so. Your coloring on the pumpkin is just gorgeous, Jessica! SO beautiful! That is an awesome kit too! Love your watercoloring and beautiful design! Thanks so much for stopping by my place!